It’s not just sweeping landscapes and lush forests that make our home in Perthshire such a sense-tingling place to visit. During the summer our fields are awash with the reds of fresh strawberries and raspberries – due to the uniquely fertile conditions in our region’s soil – and all year round organic beef, lamb, and pork is raised in the surrounding farmland. 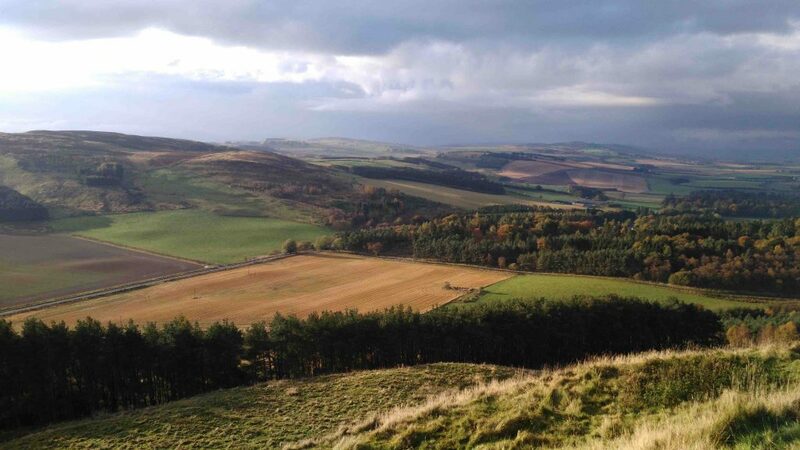 It’s no wonder that Perthshire is known as “Scotland’s larder”. There is plenty of local produce for an artisan caterer to pick from, giving them an extra edge in curating quality dishes. We are spoilt for choice here by all the award-winning restaurants, cafes, and unique tasting experiences on offer. From April to October Aberfeldy has a small, but perfectly formed farmers market on the first Sunday of the month. Perth Farmers’ Market runs on the first Saturday of every month (except January) between 9am and 2pm. You can sample some of the best artisan beers, meats, baked goods, and homemade jams in the area while taking in the scenes of Scotland’s first ever farmer’s market. For those who want to try their hand at whipping up some new dishes with their purchases, the market also throws occasional cooking demonstrations. Local chefs and food critics demonstrate how to cook some of their favourite dishes with unique ingredients like buffalo, pheasant, and seasonal vegetables. Not far from us, in Crieff, is the award-winning Famous Grouse Experience. Aside from being Scotland’s oldest working distillery, they also offer three fabulous brunch, lunch, and afternoon tea menus in their restaurant with a succulent selection of patisseries, scones, and Scottish produce (try the gin-cured Salmon or the Perthshire venison). Book yourself into one of the distillery tours afterwards to get a close look at the blending process behind Scotland’s most iconic whisky brand, brought to life by anecdotes from The Famous Grouse’s history and heritage. This is also the only distillery left in Scotland where you can see whisky crafted by hand – Scotland’s oldest single malt whisky, The Glenturret, is made here using the same kind of hand-operated mash tun as it was over two hundred years ago. Even close to Taymouth Marina is the beautiful Dewar’s Aberfeldy Distillery.The presence of a superb natural water source in The Pitilie Burn (or small river) which runs past the distillery into The River Tay, was undoubtedly a big factor in the decision to locate here. The gold-rich waters of the Burn are used to make Aberfeldy whisky to this day. As you’d expect there’s ample opportunity to sample the water of life itself on your visit. We can highly recommend the chocolate & whisky tasting. If whisky is less your thing, then you might be pleased to know that Scotland is having a bit of a gin moment right now. Strathearn Distillery opened nearby just a few years ago, and they have turned to gin-making while their whisky matures. That means that visitors to the distillery can treat themselves to a gin-making experience, either taking half or a full day to explore bags of botanicals, work with raw spirits, and bottle up their own version of the aromatic liquor. The concoctions sold by the distillery are well-worth a sample too. Just a couple of the bottles available include the Oaked Highland, which imitates whisky’s oaky taste for lovers of the richer drink, or the Heather Rose, a fragrant mix of rose and heather that gives a uniquely floral Scottish taste. A little something for the sweet tooth is the world famous Dark Velvet Truffle, sold by award-winning The Chocolate Lounge on the banks of the River Tay. Made using a carefully selected bean from São Tomé in the South Atlantic, its dark, smooth texture has been voted the best by experts the world over. The Chocolate Lounge offers a totally comprehensive chocolate experience, with a huge selection of truffles, cakes, and award-winning hot chocolates, as well as a menu pairing a sweet treat with different flavours of tea. You could even dive into the history of chocolate making at The Chocolate Centre, which deepens visitors’ understanding of the cocoa bean and gives a small glimpse of chocolatiers preparing the Lounge’s signature desserts. There are some stunning restaurants throughout Perthshire, many on the doorstep of Taymouth Marina itself (we are big fans of Ballintaggart), but where better to finish your food and drink experience than at a Michelin star-winning restaurant? Andrew Fairlie’s at Gleneagles remains Scotland’s only restaurant to ever be awarded two, and its attention to detail and comfort is second to none. Set in the middle of the stunning Gleneagles area, diners are treated to a discrete and private setting with a creative menu that combines Scottish and French cuisine. Each dish is flavoured using herbs from a special “Secret Garden” owned by the restaurant, which is tended by three gardeners to grow the best vegetables and seasoning. The chef’s speciality is the smoked lobster, which gets its strong taste from a five hour rest over whisky barrel chips. 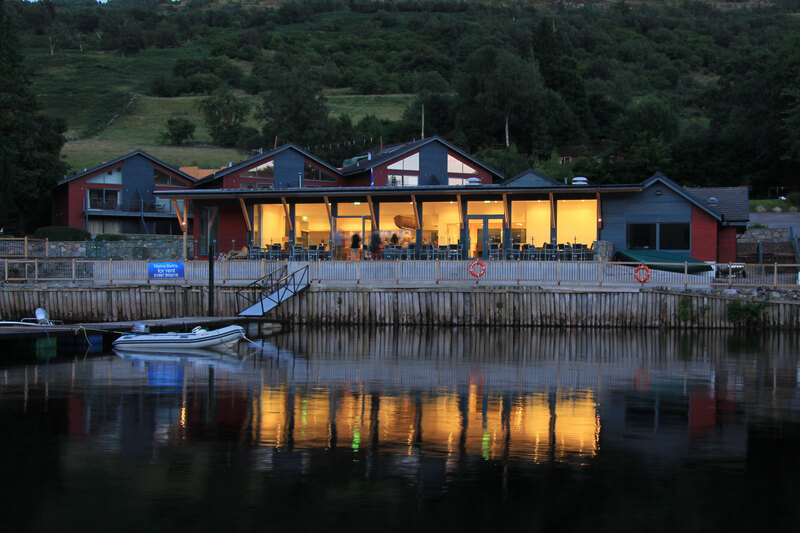 Back at Taymouth Marina we would love to welcome you to our very own Taymouth Marina Restaurant, where you can enjoy a relaxing meal against the backdrop of our spectacular lochside vista. Look out over the water towards Drummond Hill while getting a taste of Scotland from our carefully sourced ingredients. Or, if you’re only feeling a little peckish, we have healthy snacks available from The Hot Box Bar, so you can nibble on small bites while taking full advantage of our panoramic sauna on the shore.